Marketers invest in social networking because people spend more hours on their social media accounts than on company websites. The interactivity offered by social media enables people to share information faster. Additionally, social media users increase every day. This article highlights the steps that marketers can take to reach more potential customers on social media. Identify the social networking site that best suits your brand awareness needs. Facebook is the most popular social media site in the world. Facebook allows you to market your brand by opening a business or company page for free. You can post articles, pictures and videos about your brands or improvements on your products and services. You can explore the performance of your page in terms of the number of visits, post reach, and engagement. Visitors can like and comment on your posts thus enabling you to get clients’ feedback and also respond to their questions or complaints. Twitter is second in popularity after Facebook. Twitter enables you to popularize your brands by sending instant updates in form of tweets. If you want to market your brand through videos and images, then YouTube, Instagram, and Pinterest are your most suitable social media sites. LinkedIn is another social networking site that is mainly associated with professionals. Therefore, LinkedIn will enable you to connect with the corporate community. You need to create valuable content that is concise and easy to understand. Most consumers are inclined to products and services that they can identify with swiftly. The modern-day consumers don’t want to spend time reading complex content. Perhaps this is because their attention span is relatively low. Therefore, your posts should provide information in a concise and simple manner. One of the ways to do this is to use beautiful videos and quality images. It is always easy to remember the visual content. Images coupled with excellent write-ups can make an impressive combination. Valuable content draws great attention from most social media users. It is also shared widely on social media. Another way to market your brand on social media is to use bloggers and influencers. Influential bloggers have an audience who read, trust and follow their work. Thus, when such bloggers write about your brand, they will boost your reputation and increase your social media following. Getting competent bloggers and influencers to write about your services and products is a great way to improve your brand awareness. These influencers can also market your products or services on their blogs. By doing this, your products and services will be seen by thousands of potential customers. In addition, always tag influencers whenever you reference them. You should also email them so that they know you have referenced them. As you do this, these influencers will begin to share your content with their huge audience on social media. Therefore, look out for the bloggers and influencers whose audience matches your target consumers. Paid campaigns and promotions can increase your visibility and promote your brand on social media networks. Ensure that you have campaigns that offer value to your participants. Promotions can take the form of discounts, incentives, and gifts. Valuable offers will encourage user engagement and participation. This will motivate most of your followers to share your posts and blogs with other potential customers. Such social media promotions will go a long way in marketing your brand and making it stand out. You will need to set a budget for online promotions and campaigns. Figure out your target audience and then determine the amount you can spend on this. 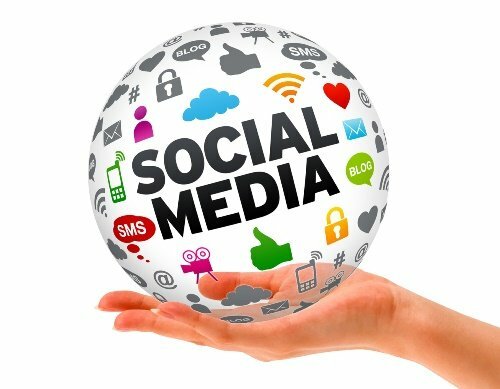 Campaigns and promotions will help to build your brand reputation by creating a desirable and positive impact on your social media followers. The human mind understands images better than words. This is why social media networks such as Instagram and Pinterest are focusing mainly on visual content. As such, marketers should adopt this visual atmosphere by employing a strong visual branding approach. One of the ways to do this is to use your brand images for all your social posts. You can also have your logo design as your profile picture or cover photo. Having great visuals on your posts is a great way to market your brand on social media. This is because posts with excellent images are more engaging than those without. Therefore, come up with a catchy logo and attractive slogans for your company and use them in your cover photo, profile picture, and posts. This will definitely make your brand to stand out. It is easy to use social media inappropriately and turn people off. By implementing these simple steps, you will create posts that are focused on your brand and avoid overly promotional and self-centered posts. Eventually, this will improve your brand reputation and authority.